Our Naples porcelain and surrounding area ceramic restorations are always interesting to us. Through years of experience, our technicians have gained an understanding of how to deliver your desired finished results while maintaining your porcelain or ceramic. Being the longest standing stone, porcelain, and concrete polishing and restoration company in the region has afforded us the expertise to handle any porcelain or ceramic related problem presented to us. Jim Lytell started his Flooring Company in Ft. Myers Beach, Florida back in 1969. Since establishing his niche marble restoration company in 1981, Jim Lytell sets the industries uncompromising standards and continues to pioneer the marble restoration industry to this day. We love to serve and help Naples and our surrounding communities. From big jobs to small polishing jobs, local jobs to far away jobs, we can do it all. When consulting Jim Lytell Marble and Stone Restoration, or your local Company, it is valuable to learn about your porcelain and ceramic floors. Porcelain is crafted from a mix of fine clays and minerals fired at extremely high temperatures, making it harder and denser than ceramic tile. Porcelain resists water, staining, bacteria and odors. Ceramic and porcelain is difficult to scratch, resists fire, and comes in a variety of shapes, colors and styles. Be aware that the tiles can crack and the grout can become stained. There are two basic types of porcelain and ceramic tile: Through or full bodied, and glazed. Through or full bodied means the color and texture run all the way through this type of tile, disguising chips or scratches. It’s suitable for floors, walls, and counter-tops. Glazed tile is completely covered in a hard finish that is typically colored. It is strong and dense and offers the widest range of colors and designs. In most cases, ceramic tiles or porcelain tiles can be refinished to a hone or polished finish. 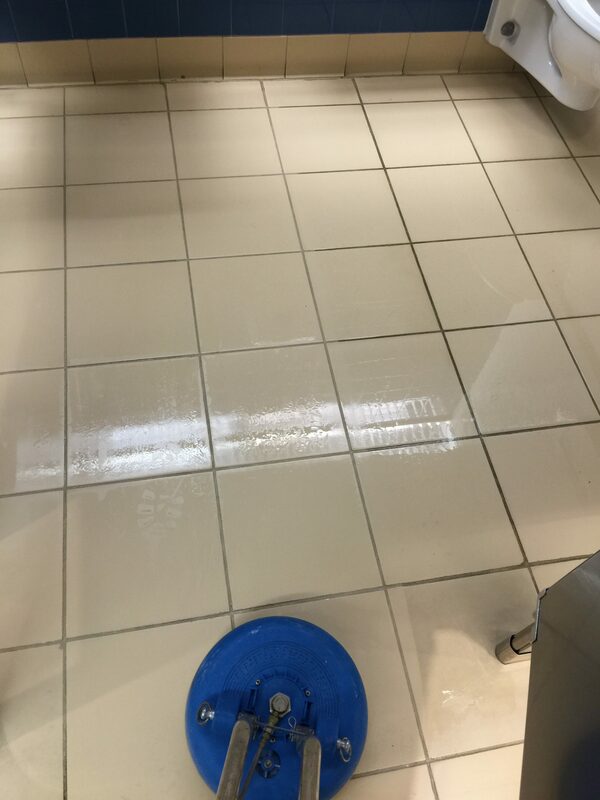 In a few cases, if there is a cleaning problem, we recommend sealing your tile. We have 2 custom trucks outfitted with pressure washer vacuums to clean tile and grout. We are able to achieve incredible results with our hot water pressure washer. Free On Site Estimates for your ceramic or porcelain floors or counter tops. Commercial or large volume marble, terrazzo, concrete, or other natural stone surfaces, are volume priced. Please complete the below form for a consultation or restoration analysis. Copyright © 2019 Marble Floor Polishing Naples by Jim Lytell Marble and Stone Restoration. All Rights Reserved.